We serve the entire Southwest Missouri area as well as Northwest Arkansas,Eastern Oklahoma and Southeast Kansas although we ship vehicles all over the US. We believe fair prices, superior service, and treating customers right leads to satisfied repeat buyers. Our friendly and knowledgeable sales staff are here to help you find the car you deserve, priced to fit your budget. It's important to know that if you don't see it on the website it doesn't mean we don't have it. Please contact us with what specifically you are looking for. Thanks for the opportunity! All vehicles are sold on an "as-is" basis unless stated otherwise. All prices plus documentation fees and shop supplies where applicable. Picture may not represent actual vehicle. Prices and special offers are subject to change. Mileage listings are estimates and are not necessarily accurate odometer readings. Some vehicle information and vehicle pricing may be unintentionally missing or inaccurate, and our Dealership will endeavor to correct such discrepancies in a commercially reasonable manner upon Customer notification of such errors or omissions, but pricing errors and listing errors are considered invalid and may or may not be honored at the sole discretion of our Dealership and its participating dealerships. Payment calculator should not be used for exact finance amounts determined. Daily changes in inventory may result in the unavailability of certain vehicles listed on-line. A commercially reasonable effort will be made to keep the inventory database current on a multi-week basis. 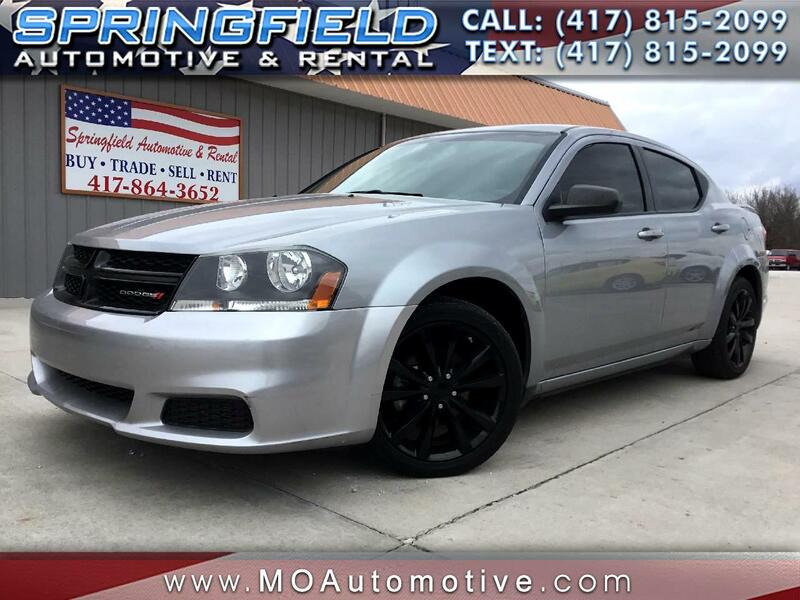 Visit Springfield Autmotive & Rental onine at http://www.moautomotive.com to see more pictures of this vehicle or call us at 417-864-3654 or text us at 417-238-0124 today to schedule your test drive.